That's a plumb ugly pistol. In today's dollars I can afford that Colt, as long as it's priced what it was when it was brand new! 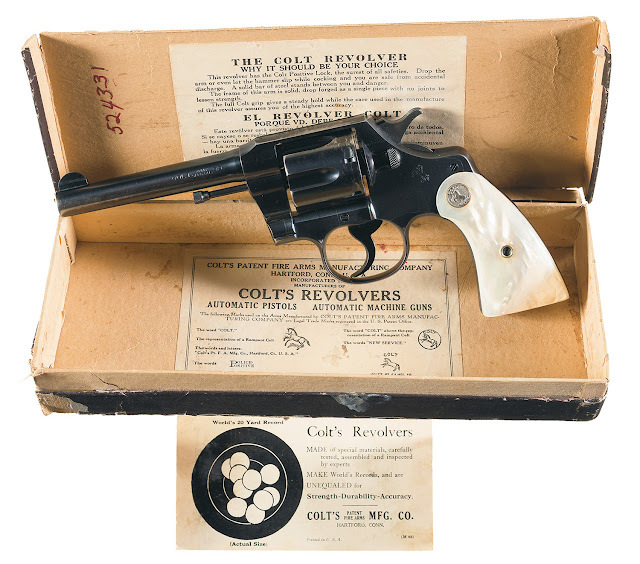 That box reminds me that back then anyone could also buy automatic pistols & automatic machine guns; boy howdy, they must've had a school shooting every week! Oh wait, no- that didn't start happening until we had a lot of Gun Control, did it. My bad!